As I’m watching this Sixers vs. Knicks game, I just had to share this. I came across a video on NBA TV that really takes you on the inside of Sixers training. Head coach Brett Brown and Ben Simmons breaking down film in the video, and you’ll hear Brown describe Simmons as a “Unicorn” among other things. The most intriguing moment for me is hearing Simmons describe how he was worried about handling the point in the beginning. The fact that a kid who always came across as steady and unflappable really was nervous at the start of his career. Great stuff. Also, for the folks out there that feel nothing will improve with his game, we have a long way to go. 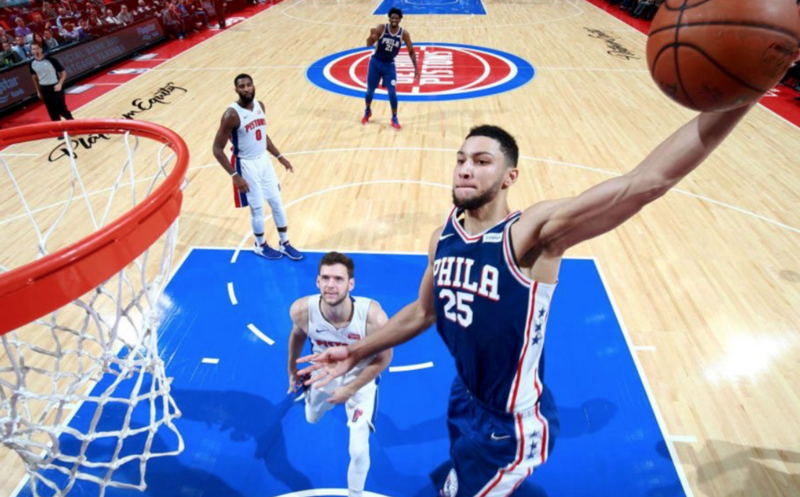 Ben Simmons will be here for nine seasons. Book it.